On June 22, 1940, about one month after the German invasion, France signed an armistice with Germany. To establish a German order of control in the unoccupied area of France, a puppet government, the Vichy government named after its southern French town of establishment, was created. The Vichy government was defined as a neutral regime but, says Holocaust survivor and writer of Holocaust-themed literature, Alexander Kimel, ”in order to gain favor with the Germans the Vichy government began instituting a number of anti-Semitic policies,” none any kinder in nature than the strictly German policies. All Jewish individuals were labeled as such and then quickly deprived of basic rights. Then they were placed in concentration camps until ”the Final Solution began,” Kimel explains, when ”the Vichy government volunteered to round up and hand over to the Germans all the foreign Jews from the unoccupied zone of France” for deportation. Yad Vashem, which in 1969 declared Saliège as Righteous Among the Nations, notes, ”Overnight, the document became a manifesto; hundreds of thousands of copies were made and were circulated by members of the Resistance throughout France.” The letter was received by all priests in all the churches of Saliège’s diocese and, consequently, read from some 400 pulpits at Sunday mass on August 23, 1942. The written protest was ”vastly influential in the abrupt turnabout in French public opinion at the time, in which support for the Vichy regime plummeted,” Yad Vashem cites historians as noting. Saliège, then 72 years old, was ordered and threatened to retract his remarks. When he refused, feeling ”It is my duty to teach morals to the members of the diocese and when it is necessary to teach them also to government officials,” he was persecuted and underwent trying jabs to his character and reputation. Théas, who was distinguished as Righteous Among the Nations on the same day as Saliège, was recognized as having been well aware of the discrimination Saliège underwent as a result of his document. Further, the 48-year-old Théas had taken into account the substantial attempts that were made to halt the mass distribution of Saliège’s letter and its message. Thus, he ”hid his plan from intelligence services,” says Yad Vashem, and ”turned to Marie-Rose Gineste, a long time activist in Catholic social work, to see to it that the pastoral letter be replicated and delivered in time” for the Sunday services. Gineste joined the underground in 1942 at the age of 31 and her house, which was only about 100 yards from a Gestapo building, ”became a center for refugees and underground activity” cites Yad Vashem, and she became a sort of social worker, ”involved in every stage of the [forged identity card] production process, from obtaining the paper to printing the documents to forging the signatures” to delivering the finished cards. 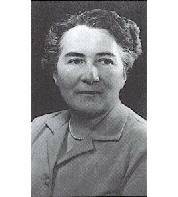 A Catholic who lived in Montauban, Gineste worked as the church secretary and says of her involvement, ”I never refused anything that was asked of me. I didn’t know they were exterminating people [she knew the Jews were being taken to Germany but was unaware of their holocaust], not until after the war. 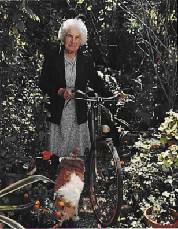 But I did see children torn from their parents.” With this motivational backdrop, Gineste proposed what has become her most celebrated assignment – a bicycle jaunt across the outlying towns of the Montauban area. 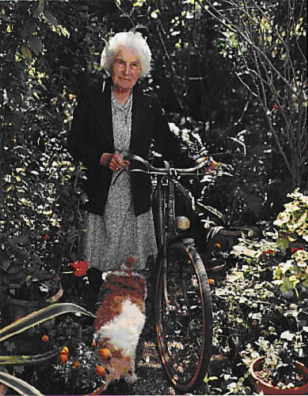 Gineste continued her work as she had done before her August bicycle trip and arranged for Jews to be hidden in convents near Montauban, collected and provided baptismal certificates, money, food, ration cards, explosives, warnings of impending danger and instructions for refugees on how to reach safety and avoid detection. Refugees sometimes found temporary shelter at the Gineste home as well, where Marie-Rose lived with her mother who prepared all the meals for their various guests. Gineste and her mother were questioned by the Montauban police and Marie-Rose was once followed for eight days but, due to lack of evidence and their declaration of innocence, they never faced any serious implications. Following the distribution of his letter, Monsignor Théas continued to actively denounce anti-Semitism. He provided a location ”to be used as a document-forging factory,” cites Yad Vashem, and, in June 1944, refused to receive Marshal Henri Pétain, president of the Vichy government, during his visit to Montauban. On June 9, 1944, the night after giving a talk in his cathedral against anti-Semitism, he was arrested by the Gestapo and interned in Compiegne for ten weeks. While in prison, he preached the importance of forgiveness, especially of one’s enemies and of the Germans, stating ”My friends, I cannot proclaim anything except what the Lord said: Love your enemies. No more, no less.” When released from prison, Théas returned to Montauban and, in March 1945, with the support of the Archbishop Saliège, became co-founder of Pax Christi, the International Catholic Peace Movement. Block, Gay and Drucker, Malka. Rescuers: Portraits of Moral Courage in the Holocaust. New York: Holmes & Meier Publishers, Inc., 1992.